Bergbambos tessellata (Nees) Stapleton, Phytokeys 25: 99. 2013. 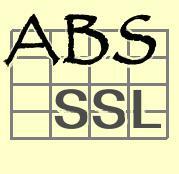 Synonyms: Nastus tessellatus Nees; Arundinaria tessellata (Nees) Munro; Thamnocalamus tessellatus (Nees) Soderstrom & R.P. Ellis. 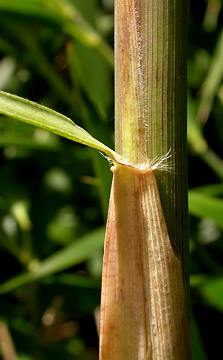 Culms to 7 m tall and 2 cm thick, erect; internodes 20-23 cm, initially light green, becoming purplish at maturity. Branches several, erect, short, purplish. Culm sheaths persistent, longer than the internode, initially whitish, distally pubescent, becoming mottled purple-brown and glabrous, margins ciliate; auricles present, delicate, reflexed; oral setae several, spreading, straight, white, to 5mm. Leaf sheaths: auricles absent or small; oral setae erect, pale, to 3mm; ligule round to oblique, 2-5mm; external ligule well-developed, laterally long-ciliate; blade 5-14 cm long, 0.6-1.5 cm wide. Name from Latin tessera, ‘mosaic tile’ from the chequered pattern of leaf blade veinlets. Bergbambos tessellata, native to southern Africa, is grown as an ornamental species in many countries. It is used for spear handles, arrow shafts and Zulu shields. It has an untidy appearance, with persistent dried sheaths and irregularly arranged leaf blades, but it is a resilient species capable of withstanding wind and strong sun. 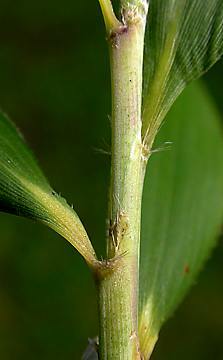 The inclusion of this species in the genus Thamnocalamus on the basis of leaf anatomy was not justified, as the characters used have little predictive value at the species level in bamboos. 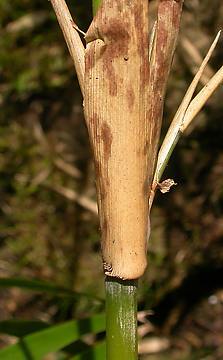 Its inclusion in Thamnocalamus, along with Fargesia, on the basis of the compression of the synflorescence has been shown to be unsatisfactory from molecular results. Introduced from the Drakensberg Mountains of S Africa in the late 19th Century, exact location unknown.